Tom Stephenson says skippering the Wanderers to a second successive Prem Rugby A League title was 'the best way to go out' as he prepares to exit Northampton this summer. The centre helped to propel his side to an impressive 31-21 success against Exeter Braves in Monday night's Franklin's Gardens final. Tries from Lewis Ludlam, Jamal Ford-Robinson and Paddy Ryan, allied with some typically assured kicking from James Grayson, got the job done for the Wanderers. And Stephenson said: "We spoke before the game about the fact that there's a lot of boys leaving this year, especially in this team. "I don't think there's a much better group of lads to win it with than these lads. "We've been together a while now, there's a lot of frustration in the squad so to win the A League is a credit to all of us - we all deserve it. "It's the best way to go out. "You never want to leave on a low and to go out like that is credit to all the boys." 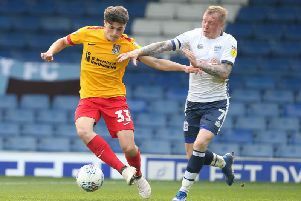 Stephenson is one of several Wanderers players who will feel they could have enjoyed more first-team game time this season. And the 23-year-old has hailed his team-mates for remaining positive during some difficult times. "The spirit is really good," Stephenson said. "The Wandies boys train together a lot because we're not getting picked for the first team and we have to keep each other as positive as possible. "The coaches have kept us together and when we come out on a Monday, it's our time to shine and our time to prove ourselves. "We do that most weeks and there is massive togetherness among the boys. "We play together, we drink together and it works. "To win it, there is no better feeling and the boys deserve it."